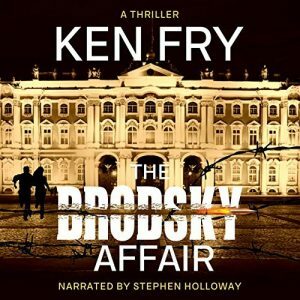 The Brodsky Affair is now available on Audible, Amazon and iTunes! If you are a member of Audible you can view the book here. If you are not a member of Audible you can join for a month entirely free of charge and choose this book as your free credit ( a subscription costs £7.99 per month after the first month, and includes one free book per month). Jack Manton, an art dealer, and his partner, Tamsin Greene, did not expect to be targets of assassination attempts. But when they began to track down the lost paintings of Russian artist, Mikhail Brodsky, now worth millions…that is what happened. Jack Manton faces a perilous path of murder and deceit before Brodsky’s last unfinished work is revealed and its destiny decided at a final confrontation.